Beautiful apartment with a spectacular view of Playa Cavancha from its rooms and living room, it is also located in the prestigious and sought after sector of the Cavancha peninsula. This sector has a wide range of restaurants, pubs, to go out to eat and enjoy its cuisine and nightlife! The apartment has two bedrooms, the master has a double bed and a single bed, in the secondary bedroom has a double bed and a bunk bed. 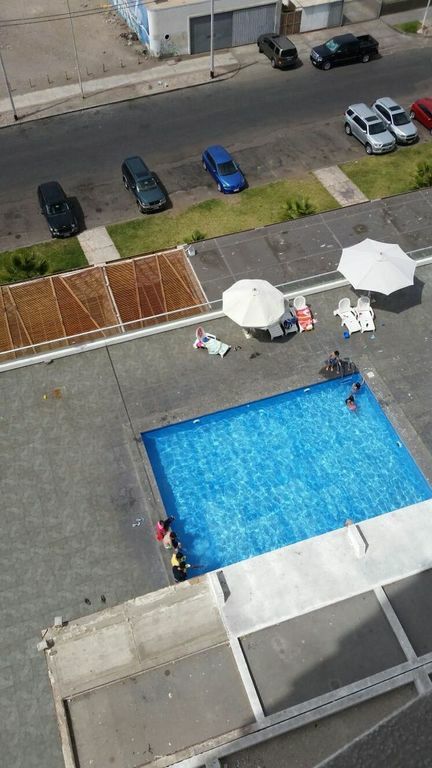 The building has quincho which are leased separately, also has laundry that works with chips, also has an events room that has an additional cost, also has a pool and the apartment includes an underground parking.